A constituent makes a point to new Labor leader Rebecca White, centre, and MP Scott Bacon. It is an enormous privilege to have been elected unanimously as the Leader of the Labor Party in Tasmania. I’d like to thank former leader Bryan Green for his contribution to the party and public life.Bryan has been a builder and has left his mark on the state in areas like irrigation and renewable energy. I’m excited about the challenge ahead, with a state election to be held in the next 12 twelve months. Labor’s priorities are clear. We are focused on delivering better health services, providing the best public education system we possibly can and building public infrastructure to leverage and support private sector investment. Our strategy to complete three vital water and sewerage infrastructure projects goes to the heart of what we want to achieve. By partnering with industry superannuation funds, we would tackle Launceston’s ongoing storm water problems, move the sewerage treatment plant at Macquarie Point and deal with the challenges at Cameron Bay which are holding back progress on MONA stage two. Each of these three projects would allow for substantial economic growth through private investment. Tasmania’s economy needs an injection of full-time employment to reverse the trend towards part-time and casual jobs. To do that we need to back significant infrastructure upgrades. The three projects identified by Labor are not even on the Liberal Government’s radar. If fact we’ve been criticised for working on a solution for Macquarie Point by the Liberals who described it as a “pet project”. Macquarie Point is far from a pet project. It’s an incredible economic opportunity which won’t proceed unless the water and sewerage challenges are addressed. We can’t afford to wait decades to see action on the site. I want to be an inclusive leader who’s prepared to work as hard as I can to get good outcomes for the state. Pre-selection for Labor candidates for the next state election opens in May and I want to see a broad range of people put their hand up. The next Labor government needs to have a diverse range of skills and include Tasmanians from all walks of life. Labor will win seats at the next election and I want to build a team of smart, forward thinking people who want the best for Tasmania. 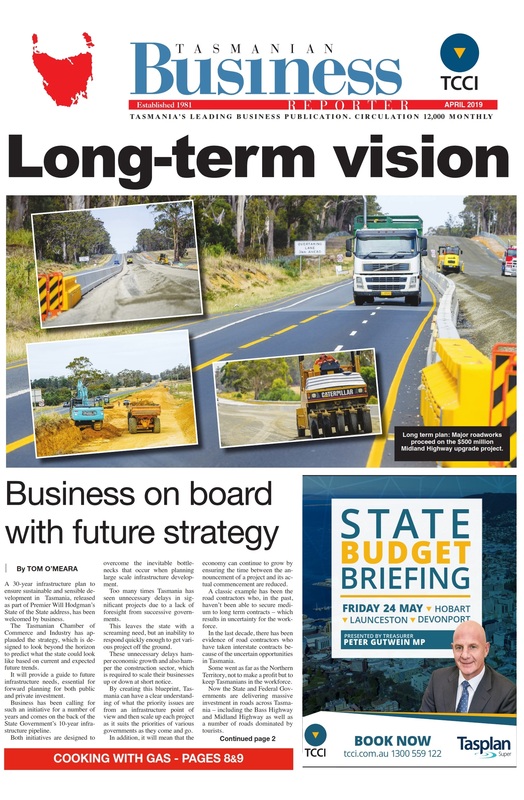 I look forward to engaging with the business community over the next few months as I travel around the state.